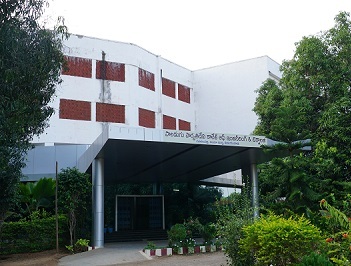 Paladugu Parvathi Devi College of Engineering and Technology has been established in 2008 with four branches ECE, EEE, CSE and IT by Dr.Smt.Paladugu Parvathi Devi in the vicinity of a city of Vijayawada at Surampalli with an avowed aim of catering to the needs of the rural youth aspiring to reach to technical heights in the field of Engineering and Technology. Later we introduced Post Graduation Branch MBA in 2009. Afterward Mechanical Branch was introduced. Thus taking it as a right and effective way of surviving the states of Engineering and Technology needs. The college has five branches of study ECE, EEE, CSE, CIVIL and MECHANICAL in B.Tech and MBA, M.TECH ( THERMAL ENGINEERING and SYSTEMS & SIGNALS PROCESSING ) in PG level with every provision for the meritorious prosecution of study. The student-centric academic and technological planning and execution have all long been the hallmark of our college. In order to achieve the avowed objective the management has taken every care to appoint rank members of excellence in each department who have a spirit of dedication to take job and sincere and delivering in carrying out their respective duties. 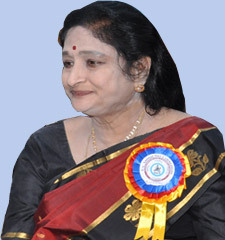 It is particularly to be mentioned that they key figure of our institution Dr.Smt.Paladugu Parvathi Devi as the chair person is incessantly providing inspiring guidance and meticulous direction to the whole of the staff in grooming the students as better walks equipped with every ability skill and prowess to become highly output delivery capable citizens in their future. We are indeed proud of being able to serve the community with all our institutional efforts for bettering the quality of life of the people of the state in our own way through this institution, the whole credit for which naturally should go to our chair person. If God gives life, the doctor sustains it, but the engineer decides the quality of it.’ Here we produce such engineers with human element in them.